"I especially appreciate the explicit kindness and compassion part of your book, it’s a beautiful chapter and you unpack very nicely the threats that people feel when they give themselves love. As we say in the MSC program, 'When you give yourself unconditional love, you discover the conditions under which you felt unloved'." 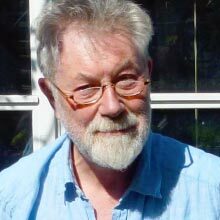 Nigel Wellings is a psychoanalytic psychotherapist who has been teaching and writing about the relationship between psychotherapy and Buddhism for the last sixteen years. He has served as a Director of Training at the Centre for Transpersonal Psychology, is a founder member of The Forum for Contemplative Studies and a facilitator on The Bath and Bristol Mindfulness Courses. With Elizabeth McCormick he has written and edited several books including Nothing To Lose, Psychotherapy, Buddhism and Living Life. Most recently he has contributed an essay to a new book edited by Anthony Molino, Crossroads in Psychoanalysis, Buddhism and Mindfulness. “The idea for this book came about through teaching mindfulness courses. It became clear to me that while many of us enjoyed and valued the courses, perhaps the majority of us never really established enough of a ‘mindfulness habit’ to keep it going for long after our course finished. I was curious and concerned by this - why was it not happening? Speaking to others who teach similar courses and several who teach mindfulness teachers, it seemed my experience was by no means unique. Yes, it was true, lots of good things came out of the courses but keeping the meditation going was tough, many people, though really wanting to continue, didn’t. "Why Can't I Meditate? is, as far as I know, the first indepth and pragmatic analysis of a key issue that bedevils many people who undertake the practice of meditation. It is not at all uncommon for someone to encounter a deep resistance to meditation even though they are sincerely committed to it. Drawing on his many years experience as a psychotherapist, mindfulness teacher and Buddhist practitioner, Nigel Wellings explores this issue by combining first-hand reports of students as well as reflections from a number of Buddhist meditation teachers from various traditions and backgrounds. This important study is also an invaluable handbook that provides practical guidance and advice for anyone who strives to understand and overcome the obstacles that prevent meditation from becoming an integral part of one's life." Confession of a Buddhist Atheist. "I would rate this book as essential reading for anyone who already has a meditation practice or for someone wanting to begin one. Reading it is like being in deep conversation with the author - an experienced and helpful person who really understands the process and pitfalls of meditation - and also with many others who share their experiences with refreshing honesty. 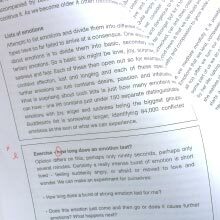 The text offers the reader details of the practicalities of meditation such as how to explore motivation to start, where and how to sit or walk, and how often, and it also offers a deep understanding of the difficulties that can be encountered in a way that is compassionate, easily understood and helpful. The authors psychological understanding helps the reader to make sense of what can arise in meditation because of early experience, and what to do about it. During the process of reading the book it becomes possible for the emphasis on kindness to become an inner resource, part of breathing in and breathing out." Psychotherapist and Author, Change for the Better.